With Valentine's Day just around the corner, I am reminded of the age-old tradition of handing out Valentine's cards at school. When I was a child, Valentine's cards were reserved for your friends and class teacher. At some point during the designated "Valentine's Day Party", students would walk around the class and deposit cards into glitter-decorated paper bags. Some kids received copious amounts of red, white and heart-shaped declarations of friendship and love, while others had a few at most. In the end, the number of Valentine's cards that ended up in your possession was a barometer of your popularity amongst your peers. Thankfully, with a better understanding of child development and overall social equality, this school tradition has evolved over the years. 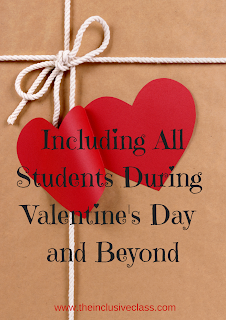 These days, if a teacher decides to do a valentine exchange with the students, typically a class list is handed-out prior to the Valentine's event with the expectation that every child in the class will give a card to every classmate. 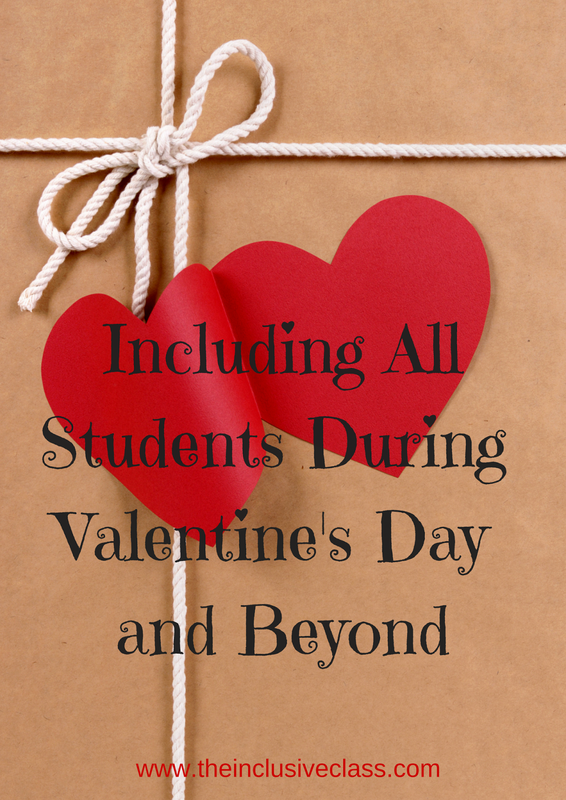 Students are now asked to include all of their classmates in their Valentine giving. (Some schools still have some catching up to do though, as they continue to offer students "candy-grams" or "heart-grams" that can be bought and sent to one another during the school day. Hopefully, this activity will soon be phased out as well!) There is, at the very least, these random occasions when we are encouraged to recognize more than one person in our environment. 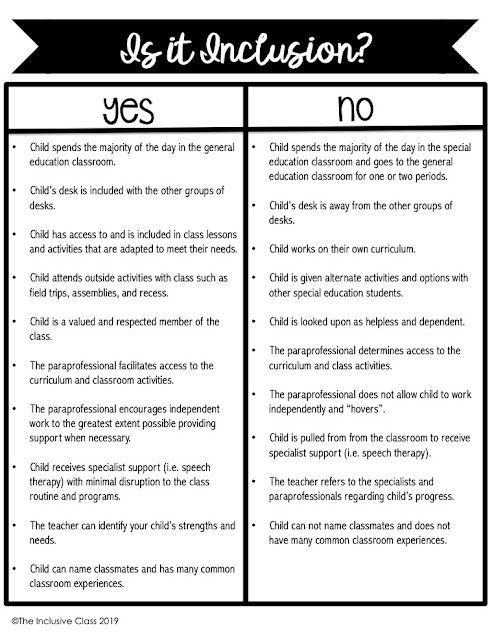 Wouldn't it be nice, however, if we didn't need to set-up and stage these special "inclusion" activities? Whether it is card-giving, lunch buddies or a Buddy Bench at recess, many schools create opportunities for students to participate in isolated acts of inclusion. With pride, the school will then announce that they are inclusive. 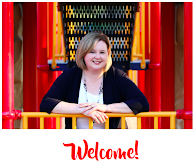 However, the hallmark of a truly inclusive environment is that the inclusion of one another in every activity is expected, natural and re-occurring on a daily basis. 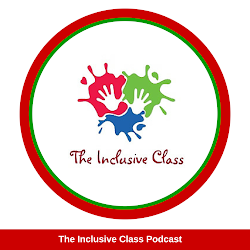 Truly inclusive schools assume that every child will participate, to the best of his or her ability Truly inclusive schools ask themselves, "How can we help learning, growing and socializing happen for all of our students?" Truly inclusive schools include one another all the time. 1. All students belong to a general education classroom. 2. All students have access to the same curriculum. 3. School events and activities are scheduled for all students to participate. 4. All families are notified of these school events. 5. Clubs, assemblies and sports are open to students of all abilities. Whether your school is truly inclusive or not, let's continue to work at raising awareness for the need to include all our children. Talk with one another, share information and identify areas for growth or change. Become models for inclusive behavior. And, finally, instead of asking, "Why?" consider asking, "Why not?". My school had a candy gram sale for Valentine's Day. I ended up buying 50 of the stupid things so none of my kids would be left out. I'm going to request a different kind of fundraiser for next year. And not just to save myself money. Yes - I have done that before as well! Even my own kids hated the yearly candy gram event.